Gurbax Singh Malhi (Mr. Malhi) was born in the village, Chugha Kalan, near Moga, Punjab, India, to a hard working Sikh family engaged in farming their own lands. He received his bachelor's degree in English, History & Political Science from Punjab University. In 1960’s, while still in India, Mr. Malhi started actively participating as a volunteer in local political activities at municipal and provincial level. 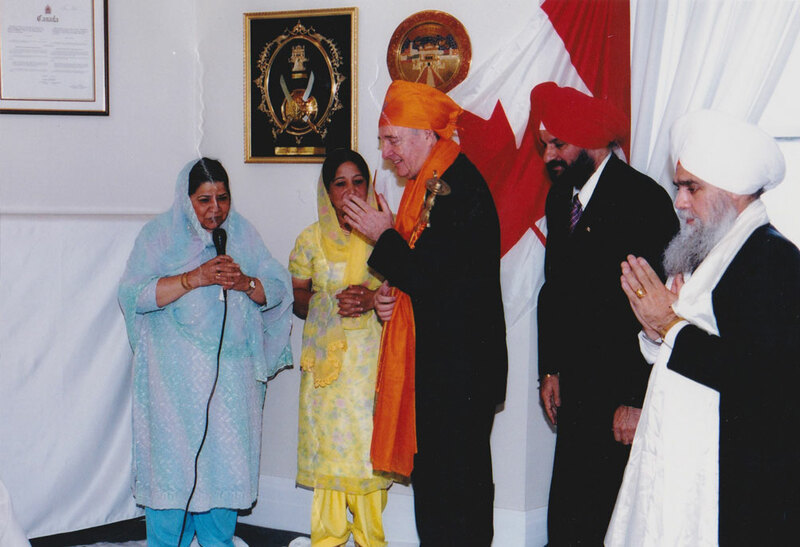 Mr. Malhi immigrated to Canada in the year 1975 along with his wife, Devinder Kaur. Together, they worked hard, understood and adjusted in the new Canadian society and the Canadian way of living. 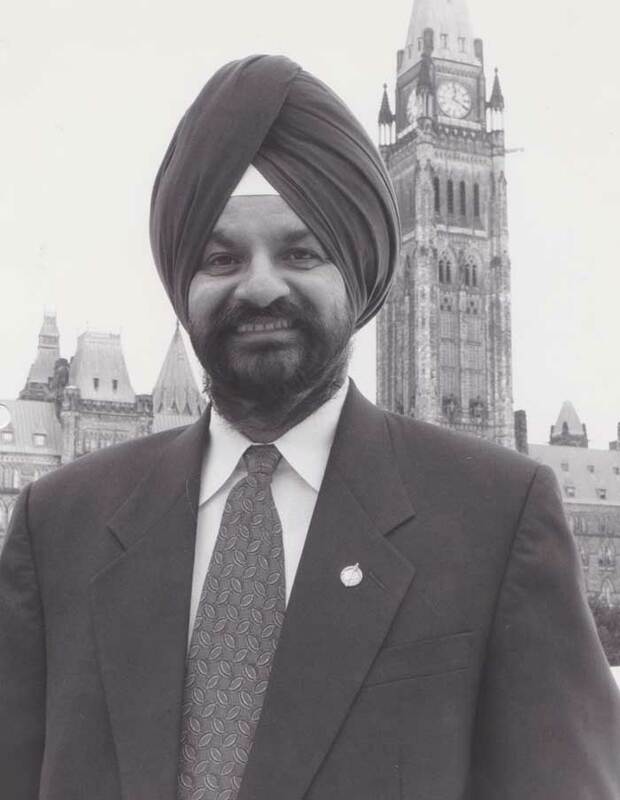 Mr. Malhi prior to getting elected as a first Sikh Member of Parliament of Canada, worked long hours initially in manufacturing industry, and thereafter, as a real estate sales person. Mr. Malhi has always been a helping hand to any person in need, including his neighbours and friends. Soon, he made his own name in the society, people recognized and trusted him to be their representative in the political field, at a time when voice of South Asian community, in particular, Sikh community, was unheard of at the national level. He got elected as a Member of Parliament of Canada first in the year 1993 as a Liberal Party of Canada candidate from Bramalea-Gore-Malton. Thereafter, Mr. Malhi continuously got re-elected further five times (1997, 2000, 2004, 2006 and 2008) and served as a Member of Parliament up till the year 2011, continuously for 18 years. Mr. Malhi has an honour of being a first turbaned Sikh elected to the Parliament of Canada. He continued his hard work as an elected representative as well. He has always remained accessible to his constituents, always helped them in whatever way he could, personally participated in their moments of happiness and grief. All walks of people, from different parts of Canada approached him, recognizing him as a symbol of hope for them. 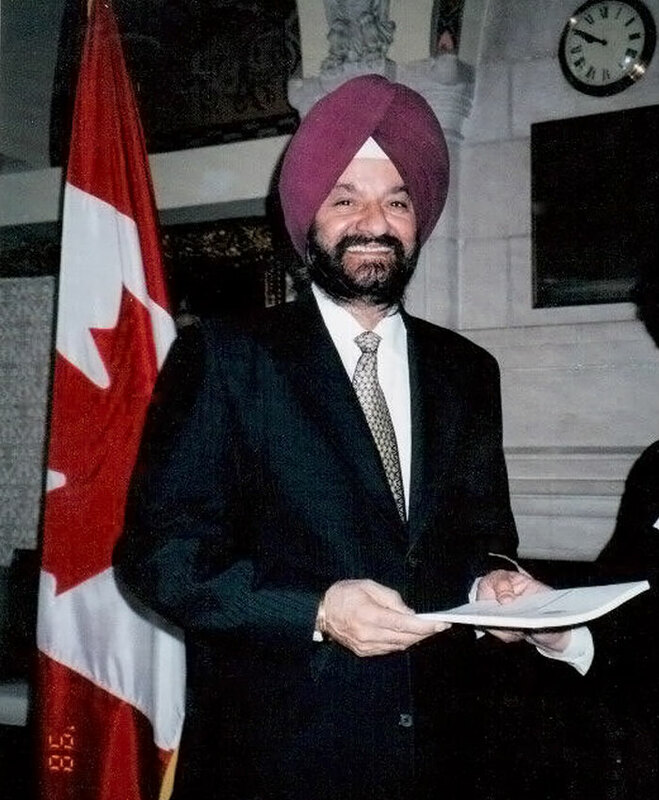 Mr. Malhi’s life and journey, as a recognizable political figure in Canada is notably highlighted by the fact that he opened doors of Canadian Parliament for minorities for generations to come. Mr. Malhi has always advocated respect for individuals, equal economic opportunities, procedural fairness and philanthropic work. As Canada’s First Sikh Politician he raised awareness and cultural acceptance of the customs and traditions of the Sikh faith, South Asian and minority communities, at a time when the minorities were yet not recognizable at national level. Mr. Malhi brought positive awareness of minorities of all ethnic backgrounds and served as a bridge to foster positive change and a voice to the voiceless. He is thankful for the opportunity to serve Canada. He is most thankful to his loyal support base, in particular, his constituents of Bramalea, Gore, Malton and now Brampton. In 1992, after winning the Liberal Nomination Campaign, Mr. Malhi was asked by one of the Election Co-Chairman where he would put his name tag? Mr. Malhi’s reply: “My Turban will be My Name Tag”, said Mr. Malhi boldly and proudly. Mr. Malhi believes the elected officials in office, whether in Municipal, Provincial or Federal sphere, have a positive duty towards their constituents, society in general and towards Canada. Mr. Malhi’s agenda is to continually make Canada better. As elected Member of Parliament at Parliament Hill in Ottawa, Ontario (Canada). This is history, a voice for the voiceless. Almost Thirteen (13) years after the question was raised to Mr. Malhi about his name tag, the same individual and former Election Co-Chair attended at a Committee on the Library of Parliament where Mr. Malhi was now, Co-Chair, and respectfully acknowledged the contributions of Mr. Malhi and the symbolic nature of his Turban at Parliament Hill in Ottawa. 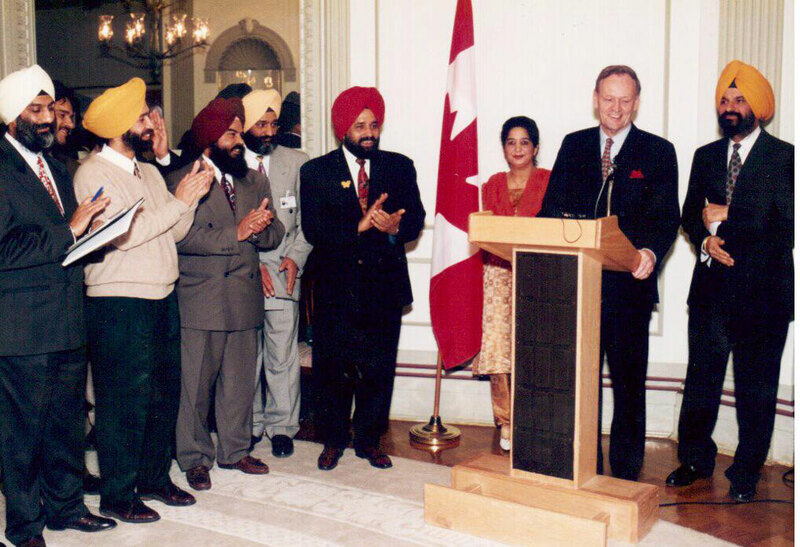 The First Vaisakhi Celebration on the Parliament Hill 1994 was attended by Rt. Honourable Jean Chretian, Prime Minister of Canada. Vaisakhi Celebration 2004 on the Parliament Hill with Rt. Honourable Paul Martin, Prime Minister of Canada.